Total credit card debt in America is well past $1 trillion dollars. This equals out to the average American having a credit card balance of $6,375. If you want to improve your credit score you need to prevent your credit card debt from ballooning. You need to know about interest rate, fees, circling balances, and credit use ratios. We are going to show you how to avoid credit card debt by following these 10 crucial steps. One of the obvious ways of how to avoid debt is to avoid high interest rates. You can expect a standard annual interest rate of around 15% for credit cards. Some credit cards will have an interest rate of up to 20-25%. Before you agree to a new credit card, check the interest rate approved for you. This is not the promotional advertised rate. Be careful of cards that offer you an introductory interest rate. They may rope you in with 0% for the first 90 days to a year. This goes away, though, and you'll get left with a higher interest rate. Once you have made a noticeable improvement of your credit score, consider applying for a card with a lower interest rate. Credit card companies assess interest rates based on your creditworthiness. What is one of the best ways to avoid credit problems? Avoid agreeing to fees that credit card companies charge. Too much credit card debt happens when people don't pay the fees associated with using their credit card. Some cards charge you a yearly fee to use the card. Sure that fancy platinum or diamond card may make you feel fancy. Do you need to spend that $500 a year to say that you have the platinum card? Few people actually experience the full benefit of "exclusive" cards. Most people pay the expensive annual fee, but it is not worth the rewards they receive. Some credit cards directed at those with lower credit scores will charge a late payment fee. You will get charged $5-$38 depending on the card and how many times you've paid late. You will find that your first late fee is at the low end of the range. Then your second late payment within 6 months of the first will trigger a late fee at the top end of the scale. Don't wait until the last minute to pay either. Some cards will charge an expedited payment fee. This is a $10-$15 fee for processing your payment faster so you aren't late. Balance transfer fees occur when you transfer the balance owed from one card to another. Expect to pay $5 or 3% of the balance. Do you already have a balance and you're wondering, "How do I get out of credit card debt?" The answer is to always make your payments on time. This will help you avoid incurring more fees and interest charges. It also helps you build your credit by having a positive payment history. A circling balance is the amount of credit you are using at a given time. This happens when you are at your credit limit but making on-time payments. Credit bureaus want to see that you use your credit, and then pay it off. They don't want you using the max amount of credit available to you all the time. About 20% of your credit score comes from the amount of credit you use. To calculate your credit utilization ratio, divide your credit available by your total credit card debt. People with exceptional credit scores are using less than 7% of their available credit. An attainable goal is to limit yourself to 20%. You need to create a history of incurring debt and then promptly paying it off. A credit card is an easy way of doing this. Create a budget, then stick to it. Make planned purchases on your credit card and then pay it off on time. Lenders will then look at this history when you apply for a loan to make a large purchase. Large purchases would be a home or new car. Remember from number 4 when we talked about your credit utilization ratio? The more credit cards you have, the larger your available credit amount will be. The means that your credit ratio will get smaller and you should see your credit score start to rise. The problem is the more credit cards you have, the more chances you have to create more debt. You want to have more than one card, but you don't want to use them all. Stick to your budget and don't let yourself freely spend. You also don't want your entire credit to be in credit cards. Credit bureaus like to see people diversify the type of credit they use. Make a plan for what to do about credit card debt. While using your card, track your spending so you know your balance. This is the biggest struggle for people who normally carry cash. It can be easy to lose track of your spending. Then when you get your bill, read through it looking at your expenditures. Make note of where you can cut spending and boost your savings. If you plan to make a large purchase on credit, consider using a new card. This lets you take advantage of a 0% interest rate and introductory cashback offers. You need to pay off the balance before the interest rate goes up. Otherwise, you end up paying interest on the originally charged purchase amount. If you are going to have and use a credit card, make sure you are getting rewarded for it. Credit card companies compete when it comes to the perks they offer. Decide what sort of reward you want before you sign up for your new credit card. Do you want travel rewards, cash back, or balance credits? If you can manage your spending, use your credit card for smaller everyday purchases. This lets you earn rewards on money you would have already spent. If you pay your credit card off right away, there is no downside. The trick is to pay your credit off right away so you are not paying interest. Often the cards with what looks like the greatest rewards will also charge hidden fees. Try to find a card that gives you the greatest return without requiring you to pay an annual fee. One of the main reasons people get in trouble with credit card debt is unexpected expenses. This could be because of car repair or medical expenses. Create an emergency fund savings account. This way when you must pay for unexpected expenses you don't need to rely on credit cards. At the very least you should have $1,000 or two weeks worth of pay. This will let you pay for minor expenses such as minor car repair or a new appliance. Your long-term goal should be to set up an emergency fund in the event of something catastrophic. This would be something like you losing your job. Experts say you should have between 3 and 6 months worth of expenses saved. This means your long-term emergency fund could be anywhere from $6,000 to $18,000. The worst thing you can do with your credit is to take out a cash advance. If you need cash you should be taking it from your bank account. This is where that emergency fund from number 9 comes in. If you don't have an emergency fund, and you are considering a cash advance, you are in trouble. Start with a budget, eliminating discretionary spending, and start building an emergency fund. Most importantly, pay back the cash advance as quickly as possible. When you get a cash advance on your credit card you will have to pay a fee upon taking out the money. First, you will pay the ATM fee for the transaction. Then you will pay the greater of $10 or 5% of the amount you borrow. To make things more expensive you will pay this every time you request a cash advance. Knowing how to avoid credit card debt gives you control over your credit score and financial future. Before you sign up for a new credit card, look at the interest rate and fees associated. Once you have your card plan out your spending with a budget. Then pay your statements on time and in full. Make sure you are putting money aside each month to build an emergency fund. This will save you from turning to your credit card for a cash advance. Finally, don't forget to take advantage of the rewards your card gives you. 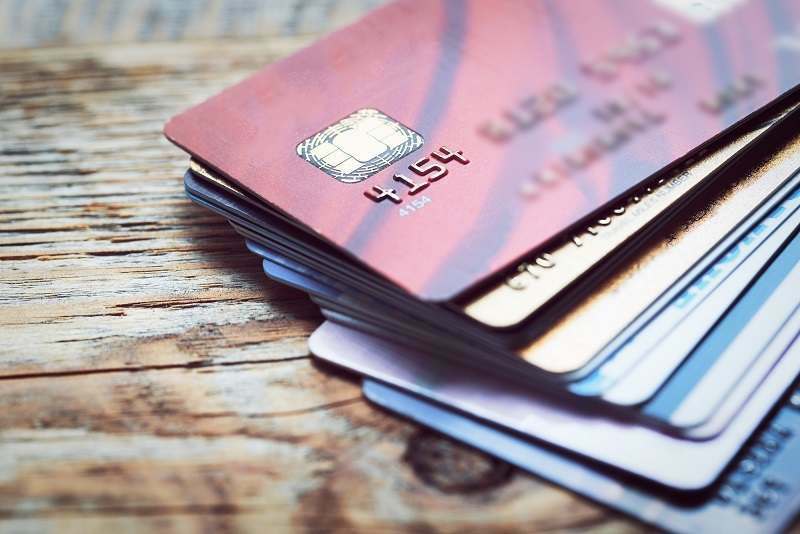 Check out our blog for more ways to manage debt and improve your credit score, like this post on getting a credit card with a poor credit score. Next: What Are Tribal Loans?